If you want to hear just how good Monk’s big, rich piano can sound, look no further. Posted in *Our Record Overview - The Good, Advice - What to Listen For in General, Genre - Jazz - Piano & Vibes, Labels We Love - Columbia/Epic, Records that Sound Best on the Original, Top Artists - Thelonious Monk, Top Producers - Teo Macero and tagged audiophile vinyl, Better Records, hot stamper vinyl, Hot Stampers, hot stampers vinyl, tom port on June 10, 2018 by humorem. This new Universal Super DeLuxe import LP appears to be the regular vinyl version that, for all we know, might actually still be in print in Europe. It appears to have been specially pressed on heavy import vinyl for our domestic market as part of the new Universal Heavy Vinyl series. Either that or it’s being made from the old metalwork for the LP that would have been available most recently in Europe (out of print by now I should think). Which is a very long-winded way of saying that it is not in any real sense remastered, if such a claim is being made for it or the series. Rather it has simply been repressed on Heavy Vinyl in Europe and imported to the states. None of which is either here nor there because the record is an absolute DISASTER. 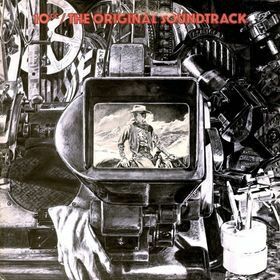 Posted in *Our Record Overview - The Really Not Good At All, Advice - What to Listen For in General, Genre - Rock - Art Rock, Heavy Vinyl Disasters, Top Artists - 10cc, Top Engineers - Eric Stewart on June 10, 2018 by humorem. This live recording has YOU ARE THERE sound! It’s so natural, rich and transparent, what is there to fault? The soundstage is wide and deep. Within moments of the needle hitting the groove your speakers disappear and the music just flows into the room. 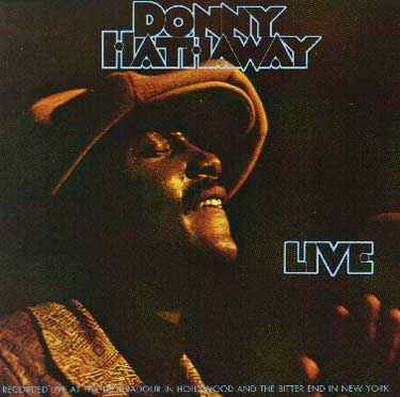 On the best original domestic pressings you can immediately understand and appreciate the honest, emotive sound that made Donny Hathaway the tremendous performer he was known to be. I’ve been playing this record regularly since I first heard it back in the mid-’90s and even after twenty years it has never failed to thrill. If I could take only one soul album to my desert island, it would be this one, no doubt about it. Posted in *Our Record Overview - The Good, A List of Great Sounding Live Albums, A List of Personal Favorites, Advice - What to Listen For in General, Genre - Soul / R&B, Labels We Love - Atlantic/Atco, Masterpieces of Rock and Jazz and tagged 1979, audiophile vinyl, Better Records, Hot Stampers, tom port on May 6, 2018 by humorem. Most pressings don’t reproduce the percussion harmonics, the leading edge transients of the horns, or the big, open space around Peter Cetera’s vocals that we know is there, but a Hot Stamper copy such as this brings out all those qualities and more. The presence here puts the vocalists right in the room with you, and when the band kicks in, the sound really starts jumping out of the speakers. Posted in *Our Record Overview - The Good, Advice - What to Listen For in General, Difficult to Reproduce Recordings, Genre - Rock - Big Production Rock, Genre - Rock - Big Rock Sound, Labels We Love - Columbia/Epic, Records We Don't Like for Their Music, Top Artists - Chicago and tagged audiophile vinyl, Better Records, hot stamper vinyl, Hot Stampers, hot stampers vinyl, tom port on May 3, 2018 by humorem.